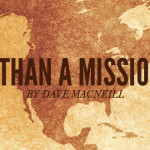 This post was written by Dave MacNeil, Strategist for P2 Missions and World Changers. Run a web search for the words “Safe, Close and Cheap” and odds are you will come across a number of excellent ways to find a vacation location. However, missions organizations are not using these words to describe their work domestically or internationally. As you think about the missions strategy for your student ministry (you do have one, don’t you?) are these three words dictating how you approach developing students for a mission focused, gospel-sharing lifestyle? 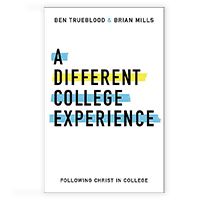 I believe that in order to develop students with a heart for serving Christ daily, students need an opportunity to grow through serving locally, nationally and internationally before they graduate from high school. Underlying your public missions philosophy and strategy is your personal motivation and how your ministry implements the global mission of making disciples. Although not spoken out loud, have you adopted a “Safe, Close and Cheap” mission strategy? Safe. Student leaders have an obligation to make sure that they do everything they can to keep students safe. However, I don’t believe God called us to be safe Christians and only go where there is no threat of harm. It is important that we are cautious when planning, but how are we going to develop courageous Christ followers if we teach them to go into places that only feel safe? No doubt, as soon as you get close to your missions project, there will be some news story that will affect the opinions of parents and students about the safety of your project. It is in these times that you can lead well and use the trust you have built with parents and students to move forward with the mission. In times like this, God is stretching your resolve to follow through with His mission. Close. Acts 1:8 is clear about serving in the local context, Jerusalem. It also is very clear that the local context in not the ending point. 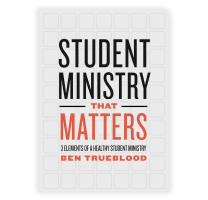 It is very important to serve in your community and many student ministries are doing so. Has the focus of serving in the local context led to the neglect of moving to Judea, Samaria and the ends of the earth? 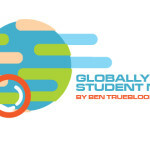 As you evaluate your mission strategy, are you developing the worldview of your students by taking them outside their context, meeting other people groups and going to other countries? At no other time in history has the world been made so small and available to serve a different language and culture. 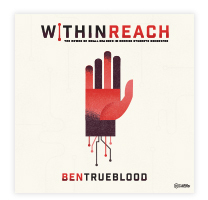 Staying close to home will limit students’ worldview and ability to see how God is at work beyond their personal, political and ethnic boundaries. Cheap. The economic downturn in 2008 hit all ministries in some form and may have limited the vision of ministries to take on larger-budgeted mission projects. Has it become common for you to use the financial trigger to keep student ministries from heading outside their boarders? Questions like “How will we raise the money?” and “How will parents react to the price?” or “What will the church think about the cost?” are important questions. But the most important question is “Lord, where do You want our students to go to partner in Your work internationally?” After answering this question, it is important to then move forward with planning, preparation and implementation of a sound financial plan. I have taken many student teams overseas and have always been able to raise funds for exactly what was needed; not more and not less, but exactly what was needed. I do believe that God will provide for His mission. What three words describe your mission strategy?